There are many species of fungi, bacteria, viruses and protozoa commercially available for the biological control of insects, diseases and weeds. Some products offer mixtures of different organisms. This article will cover one particularly easy-to-use type of fungi that occurs naturally in soil and helps control soil diseases and break down crop residues to makes otherwise unavailable soil nutrients available to plants—Trichoderma. Trichoderma fungi have many positive effects on plants: increased growth and yield, increased nutrient uptake, increased fertilizer utilization efficiency, increased percentage and rate of seed germination and induced systemic resistance to plant diseases (Harman et al., 2004). Moreover, their use as biological control agents is due to their modes of action: competition, parasitism, production of inhibitory compounds and enzymes or inactivation of the pathogen’s enzyme systems. Trichoderma actively takes over a root zone and make it difficult for pathogens to compete for space on the roots and for nutrients. In terms of parasitism, Trichoderma coils around the hyphae of pathogenic fungi and then produces enzymes to dissolve the pathogen’s cell walls. There is another kind of beneficial fungi that are commercially available to growers and also covers the roots to physically prevent disease infection and make nutrients available to the roots—Mycorrhizae. People often confuse the two fungi but Mycorrhizal fungi are not parasitic like Trichoderma fungi. Trichoderma fungi produce powerful enzymes to dissolve crop residues and attack soil pathogens like Pythium, Fusarium and Rhizoctonia. 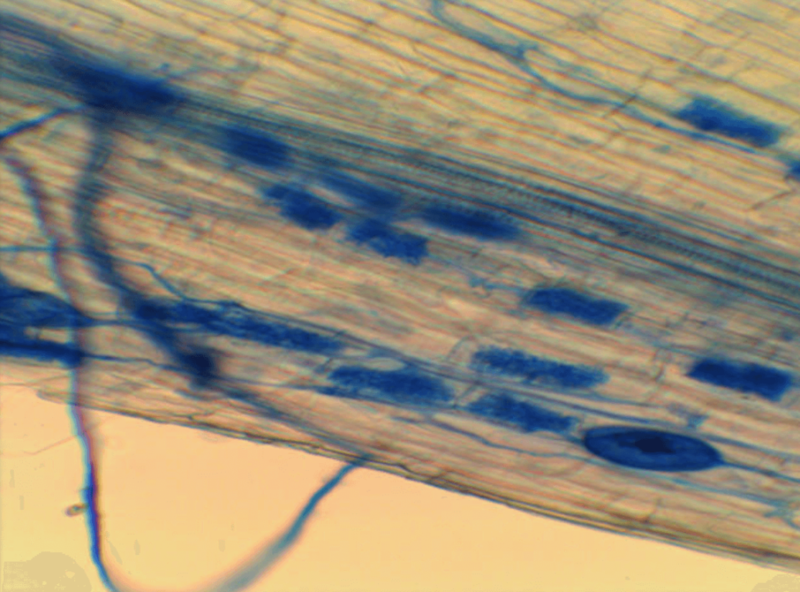 Trichoderma produces two main types of enzymes: cellulase and chitinase. Cellulose is a major component in plant fibres and crop residues. The enzyme cellulase breaks down cellulose. Similarly, chitin is a structural component in fungal cell walls. It is a strong material that is also a key component in insect exoskeletons. The enzyme chitinase breaks down chitin though Trichoderma is not known to attack insects. Trichoderma switches back and forth on which enzymes to produce depending on the type of food source available. For example, when fresh bark is used in composts, Trichoderma fungi do not directly attack the plant pathogen Rhizoctonia solani. But, in decomposing bark the amount of readily available cellulose decreases, which activates the chitinase genes of Trichoderma, which in turn produce chitinase to parasitize Rhizoctonia solani (Benhamou and Chet 1997). What this means is that in the spring time when temperatures are low and pathogen activity is low Trichoderma will feed on the readily available cellulose from crop residues. Later in the season when the crop residues are exhausted and the pathogen load has increased Trichoderma will switch over to parasitizing the pathogens. It should be emphasized that the enzymes produced by Trichoderma are industrial strength compounds. Many people are unaware that their stone washed blue jeans are made using Trichoderma. There is no such thing as a true stone washed blue jean because no stones are used in the manufacturing process. Rather, the manufacturer puts denim jeans into a vat of Trichoderma reesii until the cellulase enzymes break down the denim to give the desired, faded, worn appearance (University of Wisconsin). Trichoderma does have a bad side. It is not only a powerful biological control agent, but it is a major pest in commercial mushroom production. There it is known as “green mould.” The powerful enzyme chitinase produced by Trichoderma creates big problems in commercial mushroom farms. If Trichoderma exists naturally in the soil then why should you have to add more of what is already there? Trichoderma fungi in nature are lost due to soil disturbances such as mining, construction or erosion; strong acid or chemical treatments; pesticides, excessive heat, drought, or flooding; and denial of oxygen or water by asphalt, concrete, soil compaction and roads. In indoor gardens Trichoderma should be added to potting soils to restore healthy population levels lost due to soil sterilization, the use of strong chemical sanitizers, waterlogged soils low in oxygen and excessive fertilization. The optimum temperature range for Trichoderma harzianum is between 30 to 37o C, whereas Trichoderma koningii has an optimal range between 32 to 35o C (Danielson and Davey). Once soil temperatures exceed 15oC, this is the best timing for Trichoderma to be introduced into the soil. Trichoderma has a lifecycle of about 28 days. It is self replicating but like any lifecycle it becomes weak. Therefore, it is necessary to re-apply the product to maintain strength. Trichoderma is non-toxic to plants so there is no danger of over application or phytotoxicity. Trichoderma fungi work well as soil inoculants. If using Trichoderma as a disease control rather than preventative it is best to treat infections early. If Trichoderma are applied too late then the results will be disappointing. Trichoderma fungi are not a miracle cure, but with proper usage and realistic expectations you can have Trichoderma working for you. Listed below are some general guidelines and expectations for using Trichoderma in various greenhouse and hydroponic environments. As with any product, strict adherence to the label instructions is necessary for optimum performance. Incorporating Trichoderma into your indoor garden or growing operation is easy, safe and environmentally friendly. Look for Trichoderma fungi products in your gardening catalogue, local nursery or indoor garden centre. By using Trichoderma you will be promoting a more balanced population of naturally occurring soil micro-organisms, and at the same time reducing your use of harsh, toxic chemicals. You will save yourself costly and worrisome disposal problems associated with chemical alternatives. Now that you’ve learned a little about Trichoderma perhaps you will feel more confident in buying and using Trichoderma fungi in your garden, greenhouse or indoor garden. *Trichoderma can be sensitive to high concentrations of chlorine. It is best to allow water with a strong smell of chlorine to sit out overnight exposed to the air to let the chlorine dissipate before use with Trichoderma. Trichoderma use in aeroponic and hydroponic systems can eventually form a fibrous mat that can block pipes and nozzles used to irrigate the plants. Removal of this material is a time-consuming process, which involves temporarily dismantling the irrigation system pipes and spaghetti tubing. In warmer weather, this needs to be done frequently. Apply granules or liquid formulation directly into the planting hole making sure that the root ball has good contact with the Trichoderma. As the plants grow maintenance applications can be applied as granules to the soil surface or soil drenches. A soil drenching solution can be prepared from bulk granules by soaking the granules in water for several hours to release the organisms and activate them. This liquid can then be used as a soil drench. The activation process brings Trichoderma out of its dormant stage so it will be actively growing. Once activated Trichoderma should be applied within 24 hours. Many commercial potting mixes already contain Trichoderma fungi. However, bulk granules of Trichoderma can be mixed in with the soil before transplanting or Trichoderma can be applied to the soil surface after transplanting, in the same manner as the application of a granular fertilizer. 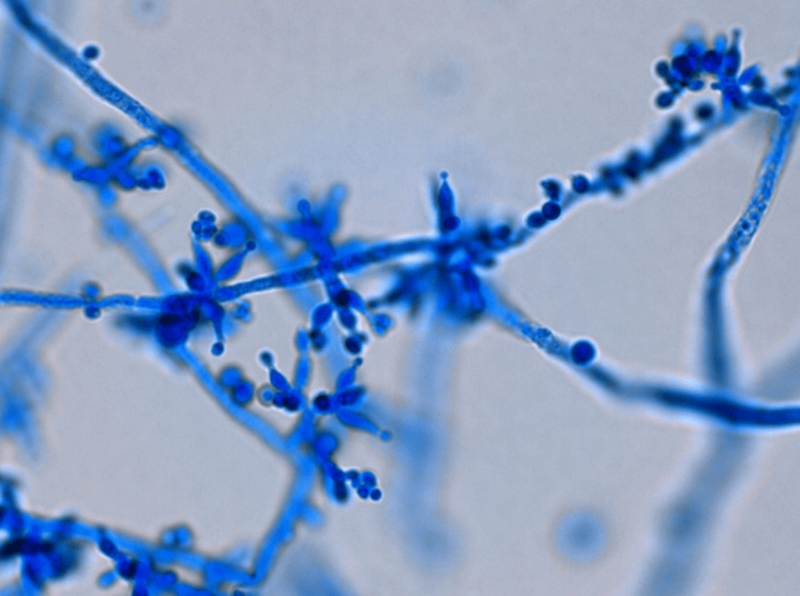 Incorporation of Trichoderma fungi is especially important in sterilized soils to restore or establish a population of beneficial micro-organisms to out-compete pathogens. Trichoderma are aerobic, meaning they require oxygen, so it is best not to waterlog the growing media for too long. Bare root plants can be dipped into solutions containing Trichoderma fungi that have been pre-activated. Trichoderma fungi are compatible with most common commercial rooting powders and water-absorbent gels. Granules can also be soaked in water for a few hours with the water being used as a base for a dipping solution. Trichoderma will produce the enzyme cellulase and feed on the most available food source, in this case, the sawdust itself. 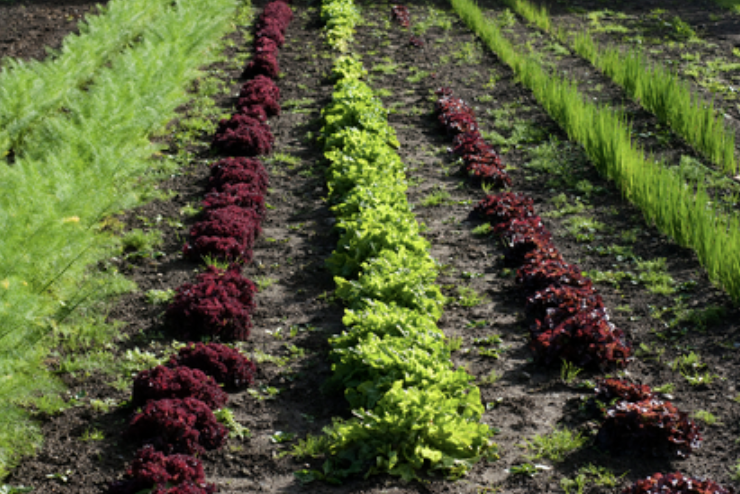 In fact, Trichoderma is often used as a compost addition in conventional gardening systems to break down straw, sawdust and other fibrous materials. So, Trichoderma is not recommended as an augmentation to sawdust bags or sawdust-based media. Trichoderma will not be self-sustaining in sand culture because of the limited food supply. Since there are relatively low amounts of organic matter in sand, Trichoderma will suffer because there is nothing for the cellulase enzymes to work on. The only other source of food for Trichoderma would be pathogens that the chitinase enzymes can break down. But when the pathogens are gone Trichoderma is once again left without a food supply. Seeds can be placed in direct contact with Trichoderma at planting time. This ensures that the young roots are colonized early on for protection against water mould root rots like pythium and Phytophthora. However, be sure that the Trichoderma is compatible with any fungicides that may be used as seed treatments or applied with the seed. There are a lot of Trichoderma products on the market today. Growers are often wary of new products that suddenly appear on the market and appear to be copy-cats of more well known products. Here are some features and specifications to look for when buying Trichoderma products. • Look for stable formulations. • Look for combinations of Trichoderma species in one product. • Look for a guaranteed analysis on the label. • Shelf life is important. • Do your homework and see how long the product has been on the market. • Look for products that operate over a wide range of temperatures. • Make sure the Trichoderma product is organically certified.